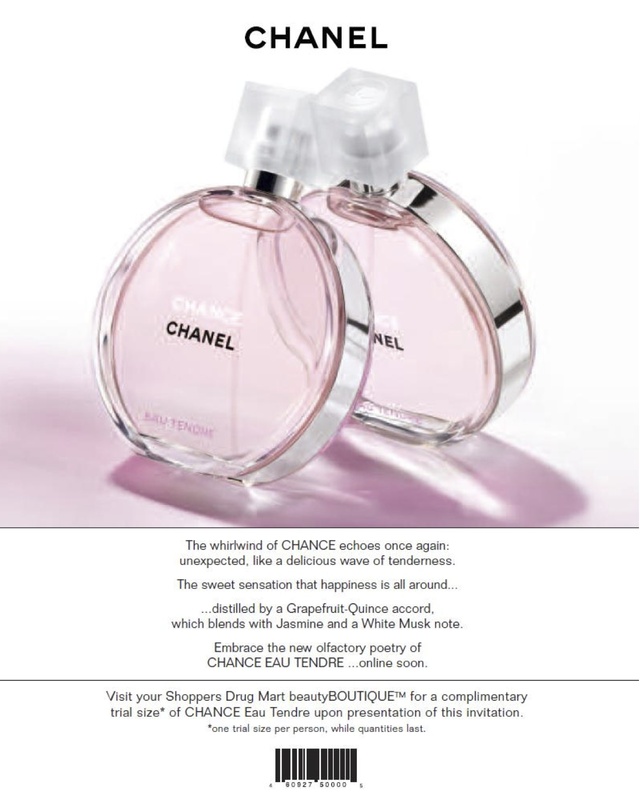 Chanel’s fragrance “Chance Eau Tendre” is brand new and to promote this Shoppers Drug Mart are giving away free samples when you print the coupon we have below. If you need to find the store locations you can do it here. Just print and bring this coupon to your local Shoppers Drug Mart beauty BOUTIQUE to claim your freebie. This promotion is open while supplies last.